Welcome to Gamma Products Inc.
Gamma Products, Inc. has been designing and manufacturing scientific instruments for 50 years. 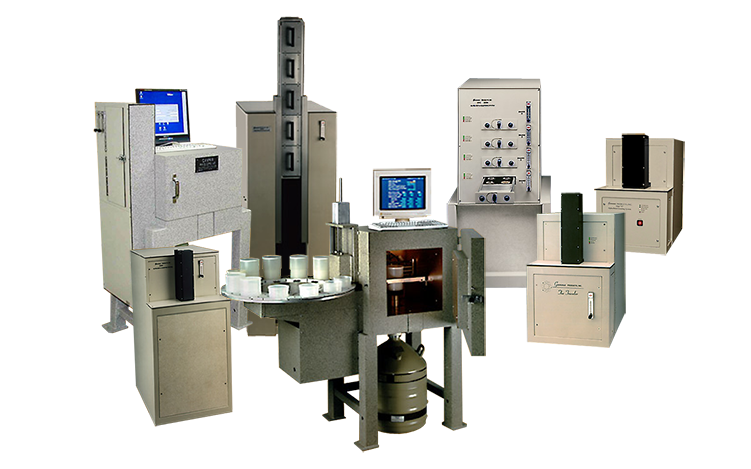 Our product line includes: low background alpha beta automatic gas flow proportional counting systems, low background alpha beta manual gas flow proportional counting systems, a gas free automatic alpha beta counting system, gamma automatic sample changers, lead or steel counting shields, and storage shields. Our talented design team is always creating new products and improving the current ones. Send us your specifications. If we don't have the exact product desired, we are very flexible and able to fulfill custom requests. We invite you to fill out our form regarding requests, comments and questions located on our literature page. Please see the review of the new water counting method that uses our Ra228 Sample Changer at physorg.com.